Richard Irwin (Belper, United Kingdom) on 9 April 2009 in Plant & Nature. I love the autumn colours and the leaves are superb with the light shining on them. 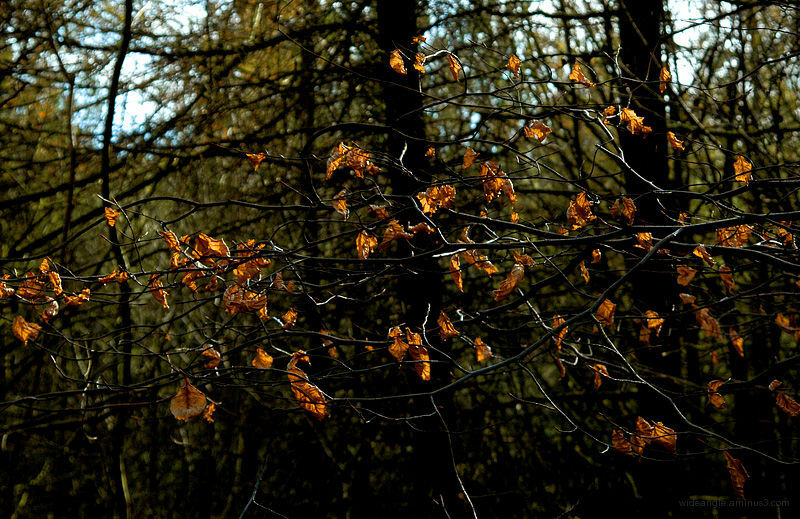 Beautiful... these leaves that survive through the winter amaze me. They really stand out now against the emerging green! These tough little fellas never gave up, did they? Will they turn green again ? Nice shot. Great colors. I wonder if new leves grow in the same places or what happens. @dogilicious: I know what you mean, I always wonder the same thing. very nice. i like how the leaves catch the light. You have actually made the dry leaves look so beautiful. That's so pretty! Like everyone else, I like the colors and the lighting. Ah, yes, always a few get left behind . . waiting for the newcomers to give them the push ! That's a lovely composition. The colors are fine too.